Thank you very much for your interest in AA LABORATORY EGGS. We specialize in fertile and embryonated eggs for incubation, biological research, vaccine manufacturing, egg food products, and egg’s shell for Art and Hobby Decorating. We are confident that we can provide you with the quickest service, short lead time, and year round availability. 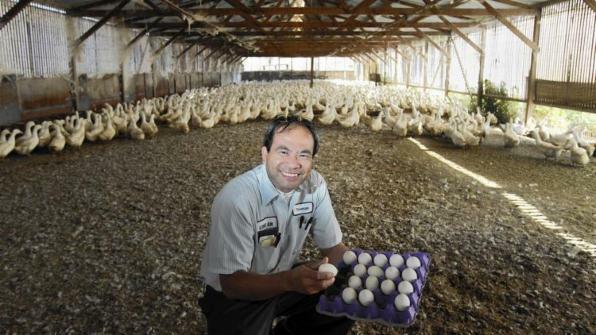 Whether you need 1 dozen or 10,000 dozens eggs a week, we can handle it. AA Lab Eggs, Inc. is registered with the State of California, Dept of Health and Services, Food & Drug Branch. Ramona Duck Farm is a certified farmer producer in the County of San Diego, California.